« AnyForty x Quintin Co Snap Backs Coming Soon Yo! 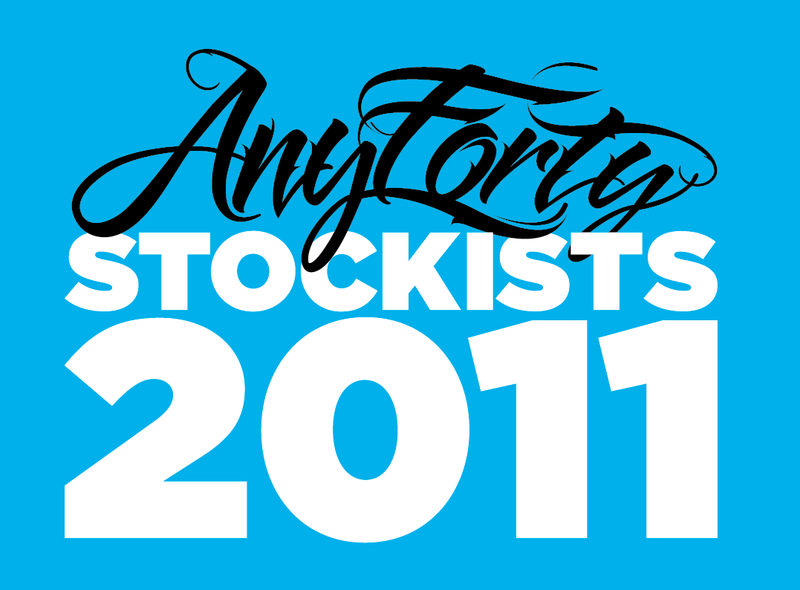 AnyForty Stockists 2011… Pop in and check out our gear if you live near one! Waddup! Thought we’d do a quick update to let you know where you can buy AnyForty in the UK if you don’t want to buy direct from our store and want to walk into a shop and try em on for size. We look forward to welcoming you to the AnyForty family! This entry was posted on January 15, 2011 at 12:31 pm and is filed under Any Forty, AnyForty Stockists. You can follow any responses to this entry through the RSS 2.0 feed. You can leave a response, or trackback from your own site.